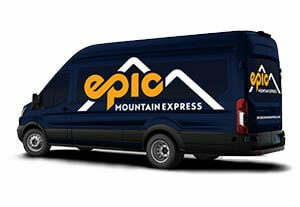 Introducing Epic Mountain Express. 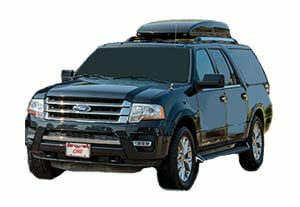 Expect the same professional, experienced transportation from us, as the look of our vehicles change. Epic Mountain Express provides the easiest way from Denver International Airport to your favorite Colorado mountain resort areas. 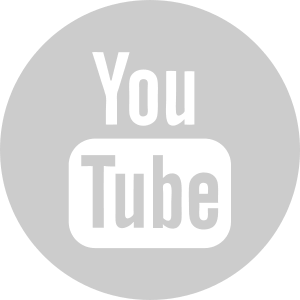 Ski areas and mountain towns served include Vail, Breckenridge, Keystone, Frisco, Beaver Creek, Bachelor Gulch, Copper Mountain, and surrounding ski resort areas. If you plan to ride to Denver Int’l Airport a few times through December 20th, the 10 Ride Pass provides the best deal. Share with friends and family, too. For those heading to the Aspen/ Roaring Fork Valley, try the new CME 5 Pass. Call to purchase, 970-754-7433 between 8am - 8pm daily. If Colorado is in your plans, have a look for travel ideas and tips, FAQs and events on our blog. Recent stories give off the ski slope ideas for seeing mountain resorts and enjoying the outdoors and upcoming mountain events. Traveling with a group of 3 or more? A 20% discount is automatically taken at check-out when you reserve airport shuttle seats. Renting a car is not necessary for guests at our Colorado ski resorts. Shuttles bring you right to your hotel or home, avoiding rental car taxes,fees and fuel expenses and you won’t have to clean snow off of your rental car! 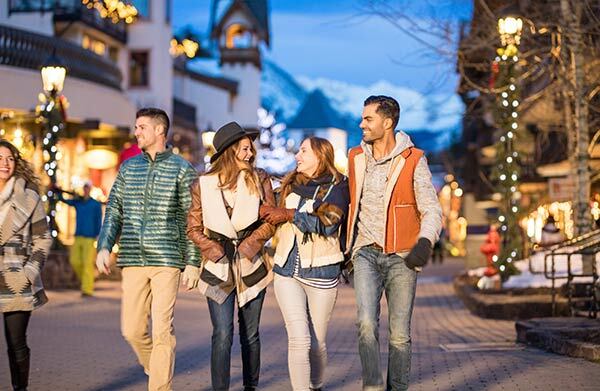 Ski resort towns are compact and offer local transportation: Vail, Breckenridge and Keystone Resort have free busses, and Beaver Creek Resort’s complimentary “Dial a Ride” service offers in-resort transportation. Rental cars are not needed and often are not driven except to and from the Denver Airport. Avoid parking hassles and don’t worry about driving through the Rocky Mountains or road conditions. 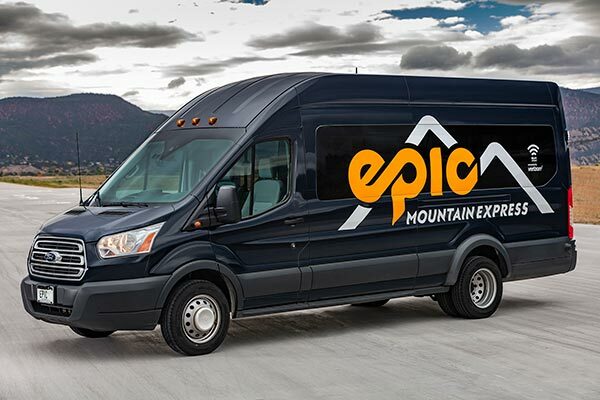 Epic Mountain Express’ drivers are trained for Colorado’s weather, and will deliver you confidently to start your ski trip off right. 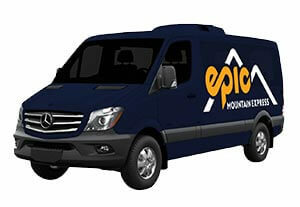 Epic Mountain Express’s fleet of 250 vehicles includes 10-passenger vans, five-passenger four-wheel drive luxury SUVs, and 10-passenger Mercedes Benz Sprinter vans. Groups of up to 2000 guests can be accommodated as well, and a dedicated group and wedding sales team is here to help you plan your group transportation. Plus, complimentary wi-fi is available onboard all vehicles. We’ve been named “Best Transportation Company” in Colorado Meetings + Events’ Annual Best of Colorado Awards for 2015, 2016, and 2018, as well as “Best Shuttle Service” in the Summit Daily’s “Best of Summit” awards for six consecutive years. 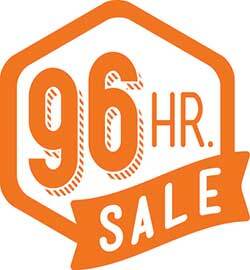 Last Day of 96 Hour Sale!